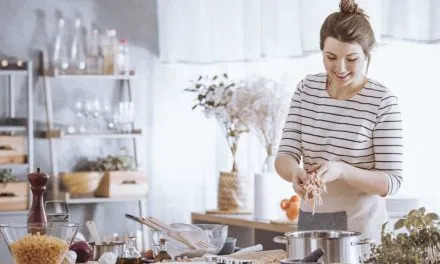 One of the biggest advantages of cooking at home is the fact that you know exactly what goes into your food which allows you to prepare the healthiest meals possible. 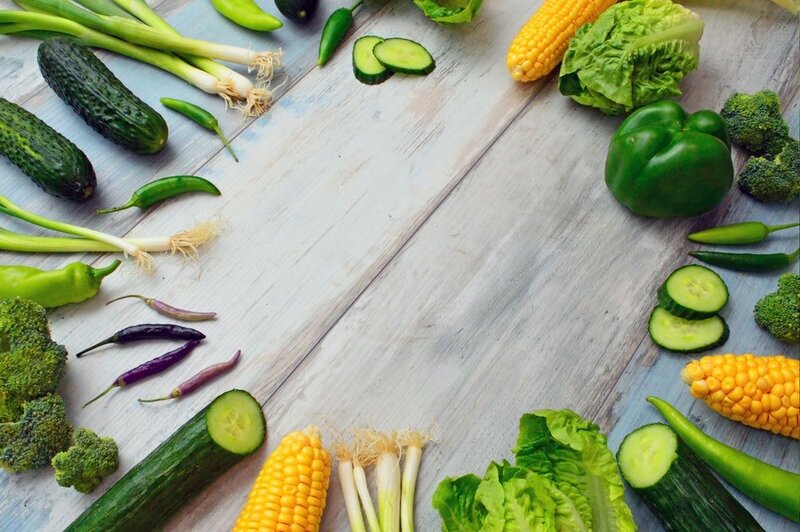 However, there are many factors that go into healthy cooking, and it’s not just about the ingredients you use. The cookware you use is also important. Some metals react with your food and release small amounts of the metal into it, while some non-stick coatings can be down-right dangerous for you. What is the best type of cookware when your biggest priority is healthy cooking? 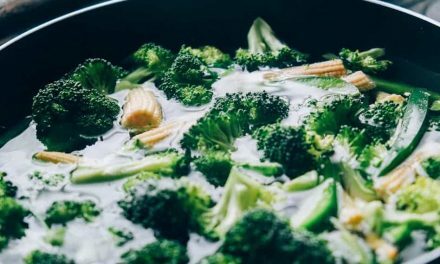 What are the healthiest pans to cook with? What are the safest pans to cook with? These are some of the questions that arise. We’ve taken them all into consideration and tried to find the pans that are completely healthy and safe. This list is the result of this search. You should definitely check it out if healthy cooking is important to you. Features 4.8mm 7-Ply Material combining layers of stainless steel, a core of aluminum and aluminum alloys incorporated from rim to rim. Unique Silvinox surface treatment improves the resistance of stainless steel preventing discoloration, tarnishing and dulling due to handling, and contact with aggressive detergents and certain foods. Silvinox is also easy to clean. The Demeyere Proline 5 Star 11 Inch Fry Pan is one of the best stainless steel pans you can find. It works beautifully on all kinds of stovetops, including induction. Thanks to the stainless steel exterior, this pan not only looks beautiful, but it’s also very durable and almost impossible to scratch. You can wash it in the dishwasher, use metal utensils with it, or scrub by hand as much as you like if it gets really dirty – it’s pretty much indestructible. Moreover, there is a layer of aluminum between the stainless steel interior and exterior layers. It is not just an encapsulated disk in the base of the pan which is often the case, but it’s an aluminum layer that goes all the way up the sides of the pan. This kind of construction provides even heat distribution across the whole surface of the pan making it much harder to burn the food even if you use less oil. Finally, this pan from Demeyere is also completely oven-safe since all parts, including the handles, are made of stainless steel. This really comes in handy when you are experimenting with healthy cooking methods since baking is one of the healthy ways to cook. Stainless steel is a non-reactive metal, which makes it one of the materials that keep your meals as healthy as possible. However, stainless steel is not the best conductor of heat. On the other hand, copper is one of the best heat conductors, but it reacts with many foods and releases small amounts of metal into it. This Prima Matera pan combines the best of those two metals. The core construction is made of copper, but the inside layer on which you cook is stainless steel. Made in France, this is one of the most functional pans out there. It’s beautifully designed, with a comfortable handle, and performs great every time on any kind of stove top, including induction. With non-stick pans, you don’t need to use a lot of oil or fat. In fact, you can make meat and veggies with no oil whatsoever which is what makes the Tramontina Professional Aluminum Nonstick Restaurant Fry Pan a good choice for those who want to make their cooking healthier. This pan is made of heavy-gauge aluminum with a beautiful brushed finish on the outside. It was made for commercial use in restaurants which mean it is extremely sturdy and durable. Most importantly, the inside surface of the Tramontina Professional Aluminum Nonstick Restaurant Fry Pan is covered with a non-stick coating that doesn’t contain any harmful chemicals. There is no PFOA, lead, or cadmium, which means your food will remain safe even when used at high temperatures. The non-stick surface on the inside and the aluminum construction that offers great responsiveness to heat and even heat distribution work beautifully together to provide a comfortable cooking experience. The pan includes a nice stainless steel handle with a removable silicone grip. The silicone remains cool to the touch on the stove, while the fact that you can remove it makes it much easier to clean the pan. 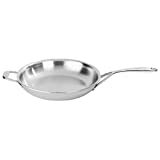 The All-Clad 4112NSR2 Stainless Steel Tri-Ply Bonded Dishwasher Safe PFOA-free Non-Stick Fry Pan is made of stainless steel with an aluminum core sandwiched between the stainless steel layers. This means you get the sturdiness of stainless steel and the heat responsiveness of aluminum all in one. The inside surface is covered with a PFOA-free non-stick coating. 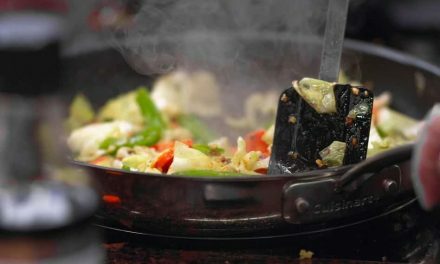 The coating allows you to cook with less oil while also keeping your food safe of dangerous fumes that traditional PFOA coatings release. This All-Clad pan is also dishwasher safe, compatible with induction stovetops, and oven-safe up to 500 degrees Fahrenheit. All-Clad is not the cheapest brand of cookware on the market but this frying pan is definitely worth the price. You can consider it an investment that will pay for itself time and time again since this is one of the most durable non-stick pans we have found. The choice of cookware definitely matters if you want to make your food completely healthy and safe. However, with so many options available it is sometimes hard to know what’s right and what’s not. For example, stainless steel is definitely good for you, but what about non-stick coatings? 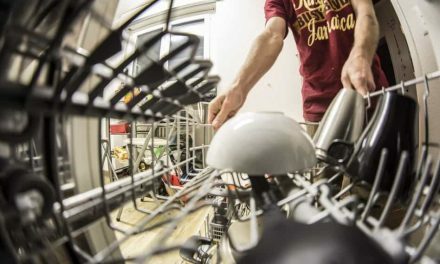 Some of them can release harmful chemicals if they are heated too much, but this doesn’t mean you have to give up on non-stick coatings all together. Not all non-stick coatings are like this. 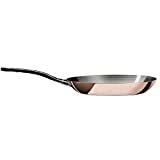 The Tramontina 80114/535DS Professional Aluminum Nonstick Restaurant Fry Pan and the All-Clad 4112NSR2 Stainless Steel Tri-Ply Bonded Dishwasher Safe PFOA-free Non-Stick Fry Pan, for example, both feature non-stick coatings that are PFOA-free.